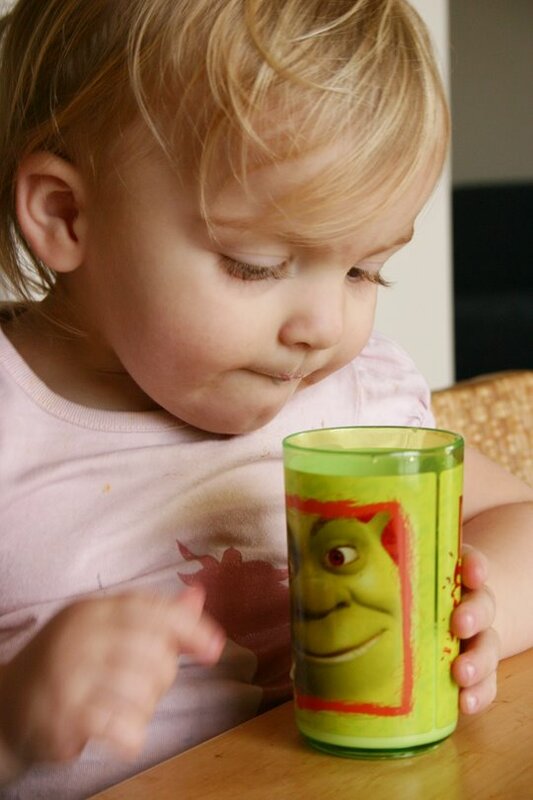 Sadie was talking to her new dollar store Shrek cup in the van while driving home. "Look Shrek, a temple. A temple a nama's house"
When she didn't want to part with Shrek at nap time, I let her take the cup with her to bed. Kids are silly. Yeah you would be surprised the things the boys go to sleep with!